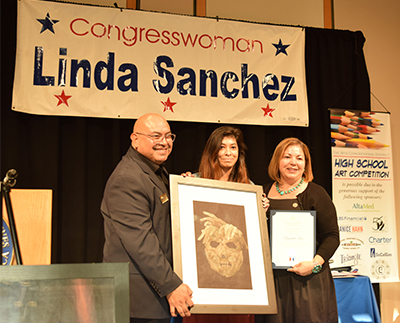 Congresswoman Linda Sanchez and Professor Roberto Chavez present artist Elizabeth Islas with an award of Congressional Recognition. The 15th Annual 38th Congressional District High School Art Competition took place at the Cerritos Center for the Performing Arts April 13. 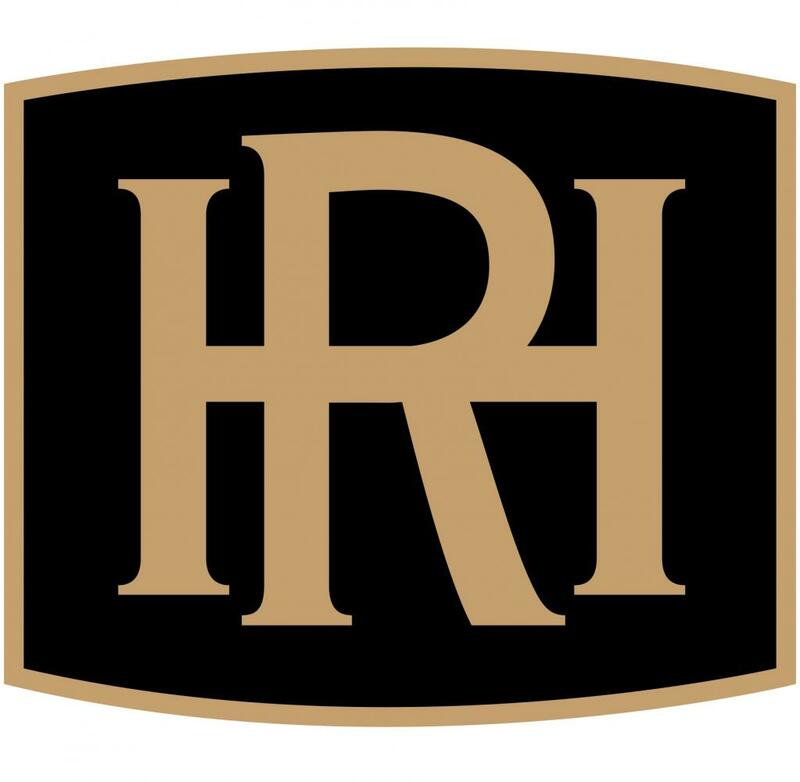 This competition required High School students in the district to submit their work so that panels of local district artists could select the winning entries. 197 students were featured, and placed into one of eight categories: Prints, drawing, painting, mixed media, photography, collage, and computer generated pieces. The awards themselves ranged from honorable mentions, to fourth through first place. The winner of the overall competition would receive a trip to Washington DC to meet the other district winners and would have their artwork hang in the halls of the capital. It was a bustling celebration of young artists that featured the best and brightest that the district has to offer. Individuals of all backgrounds filled the hall and admired the art, fueled by an interestingly delicious caterer and serenaded by the sounds of a local DJ. Scott Smith, President/CEO at Cerritos Regional Chamber of Commerce, Christopher Apodaca, President of the ABC Education Board, and Congresswoman Linda Sanchez were the three speakers at the event. Since its creation, Sanchez has sponsored the event which was created as the community’s celebration of art education and the promotion of young artists. “One of the things I hope to do for the residents in my district is inspire people to pursue their passion and their dream… and art is something that makes us human. Art is a medium through which people can be provocative, create new ideas and make social statements or political comments,” said Sanchez before the ceremony. She expanded on this idea during her actual speech, discussing how vital it is to keep supporting programs such as art education. As one who has stressed in recent interviews to have to pick and choose political battles, Sanchez and her administration strongly support the futures of young artists. “I’ve always wanted to do art… and to be able to win this, really tells me that I have a good chance and I should take it,” said Islas about her win. It’s this sentiment that the organizers of the event were trying to convey to all young artists. The Arts, education, and the support of the new generation of creators are a priority of all who helped to organize the competition.